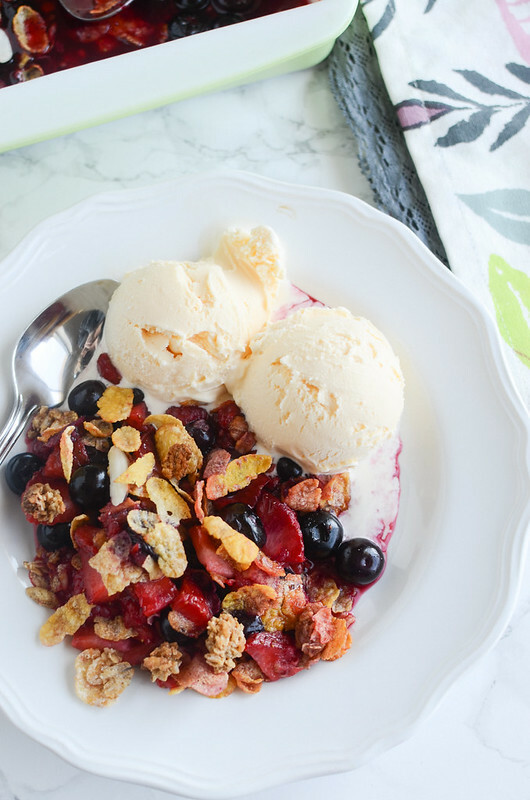 The easiest berry crisp! 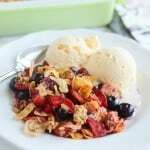 Three kinds of berries topped with Honey Bunches of Oats with Almonds! Baked until bubbly and delicious! One of my favorite things about this time of year (and I’m sorry if you’re covered in snow and don’t get to experience this yet) is the berries popping up in grocery stores. The berries here in Texas are already so delicious. I haven’t had a watery bunch yet. And what’s the best thing about berries?! I can’t even wait to make a strawberry pie! And a blueberry cobbler! 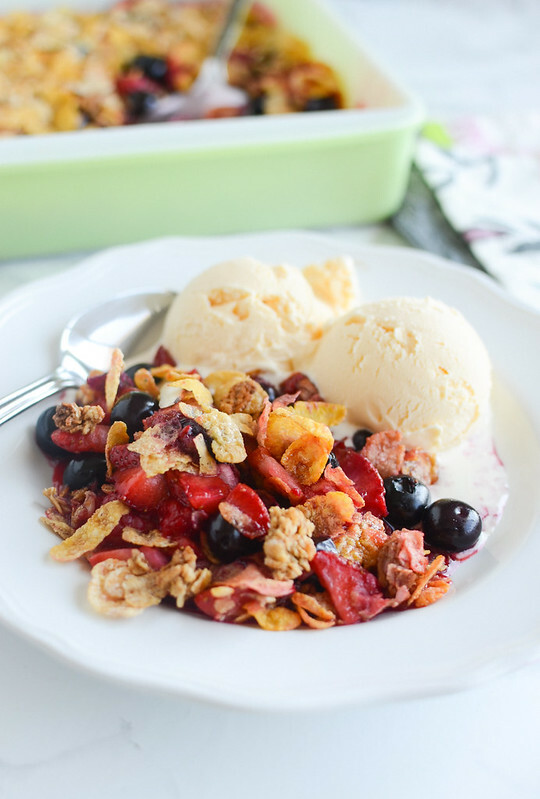 I made this Easy Triple Berry Crisp recently because I was craving that berry baked good taste but didn’t want to spend a whole lot of time in the kitchen. You won’t believe how easy this recipe is. The secret is Honey Bunches of Oats with Almonds! So instead of creating your own topping with flour and oats and almonds and all that, you just top your crisp with the Honey Bunches of Oats with Almonds and you get the same crunchy goodness that you love. 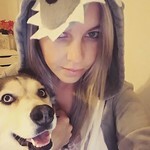 Without any of the work! So the crispy cereal with the soft berries and the creamy ice cream was just perfection. 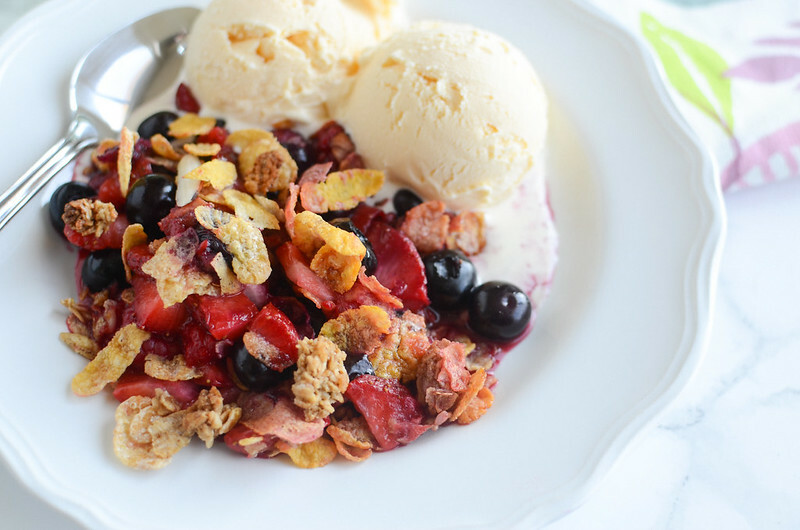 It doesn’t get better than a berry crisp! 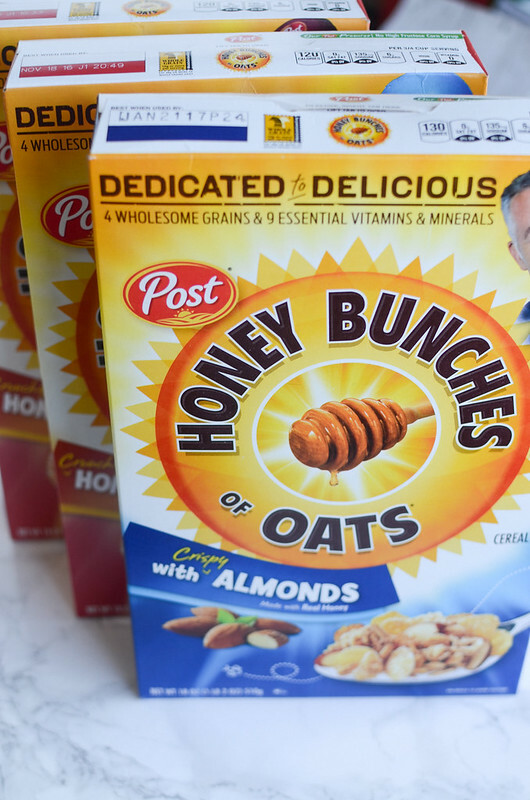 I picked up a box a box of the Honey Bunches of Oats with Almonds and a couple boxes of the Honey Bunches of Oats Honey Roasted at Walmart recently. They are some of my favorite cereal – so crisp, so delicious! They also have a Honey Bunches of Oats Gluten Free Chocolate that I’m keeping an eye out for. I am all about that idea. Post also has 2 new cereals in store: Crunch-Os and Kung Fu Panda! 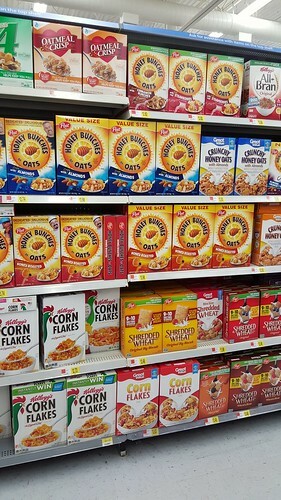 Post has a variety of cereal options that will make the entire family happy! Visit the website (launches 2/15/16!) for more information on Post cereal and for more ideas on how to use Post cereal for more than just breakfast! We all love Honey Bunches of Oats for breakfast and I’ve been known to have a bowl for dinner on long days but have you ever tried creating a fun dessert with it? Let me know in the comments if you’ve tried it or if you have a fantastic idea for how to use it! Preheat oven to 350F. Spray an 8x8-inch baking pan lightly with oil. 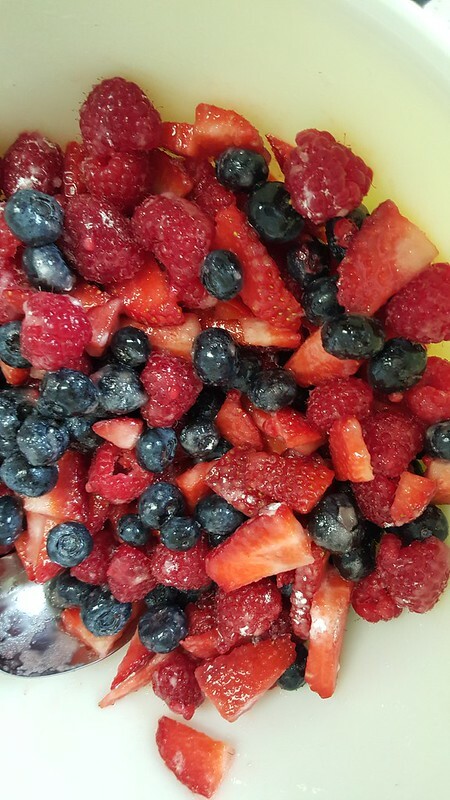 In a large bowl, toss together blueberries, raspberries, strawberries, sugar, cornstarch, and lemon juice. Pour into the prepared pan. Top with Honey Bunches of Oats with Almonds. Bake in preheated oven for 25 minutes or until the fruit is bubbly. Serve warm with vanilla ice cream. 3 Responses to "Easy Triple Berry Crisp"
it’s totally genius to use cereal as the topping.